Have you ever wanted the power to save your favorite fictional character from certain death? NOW YOU CAN! 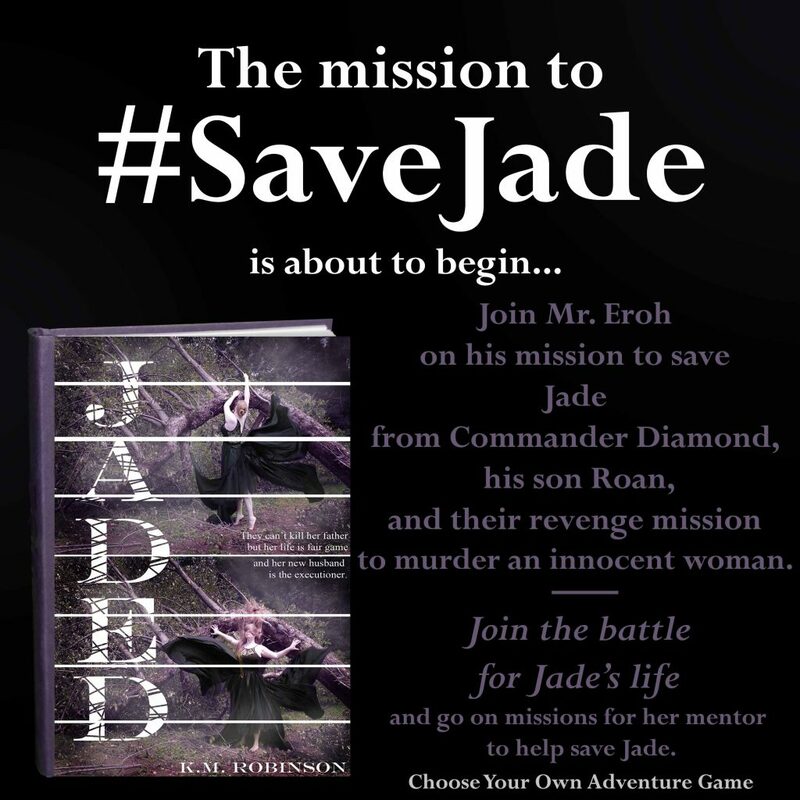 Join the interactive, three day choose-your-own-adventure style game played right in your FB messenger inbox and help Mr. Eroh run missions to SAVE JADE. Your actions have the power to affect the story and YOU could be the key to possibly saving Jade! DO you have what it takes? and grab your copy of Jaded (now available) http://jadedinfo.kmrobinsonbooks.com to see how you impacted the book-no matter which path you chose! Can’t wait to see how you’ll change the mission to save Jade! Are you loving this interactive game? Hit up my comments and tell me which of my other character’s you’d love to get messages from! This entry was posted in Announcements, Jaded and tagged choose your own adventure, Facebook messenger, interactive game, jaded, Jaded game, save jade, save jade game. Bookmark the permalink.